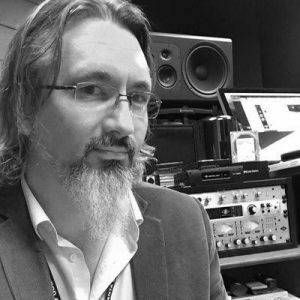 Jimmy Ether is a record producer with over 25 years experience with over 100 album credits. He provides online mixing and mastering services to artist and labels. In the metro-Atlanta area, he provides full album production services. His Headphone Treats label features artists he likes to call “the striking kooks”. The label focuses on vinyl releases and high-resolution digital download. Headphone Treats also the name of his Fayetteville, GA studio. There are two offshoots of the label: Treats’ Beats and Striking Sync. Treats’ Beats is a service providing clearance-free beats for hip-hop artists. Striking Sync provides unique music for film, television, and commercials. Often, post-production and attended sessions happen at Jimmy’s Capocus! Studios mastering facility located at the Pinewood Atlanta Studios Production Centre in Fayetteville, GA.
Are you in need of mixing and mastering with audiophile attention to resolution and depth? Jimmy may be your man. Affordable too. 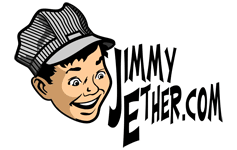 Give us a call at 678-561-EAR4 (3274), email info@jimmyether.com or use the chat feature at the bottom of this page. Jimmy is a BMI affiliated songwriter and member of The Recording Academy (GRAMMYs). A multi-instrumentalist and recording artist, he’s involved in many projects past and present. Currently, he plays bass and sings in Victory Hands. They write songs based on Richard Nixon’s Whitehouse tapes. That’s right. At times, he fronts The Ether Family Presents and navigates their extended concept-album tendencies. He has a solo project called The Aloha State and has started making beat tapes under his own name. So, there’s that. This site contains a collection of anecdotes, techniques, and concepts around recording. We hope it helps you to make better records. We’d also love if it sparked a little conversation and friendly debate. Music is subjective, and we can only present our perception and understanding of it. You are welcome to disagree, but be respectful and follow our comment policy. If you have suggestions for record production topics, tutorials or reviews, please let us know. Your input will help us to build this into a great resource for the aspiring producer and engineer. We hope you make great music today.